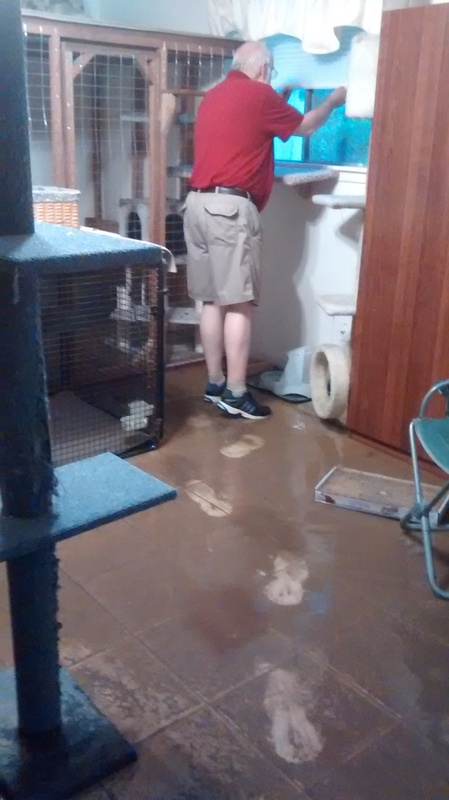 In May 2015 (Memorial Day, 2015) Catnip Casa Cat Refuge flooded. Living through a disaster is not something that’s easy to describe. Survival and recovery totally consume every minute and every dollar. Our home and the shelters suffered over $40,000 in damages. We lived in our van in the driveway for over a month because we couldn’t relocate and take care of the animals. The good news is that they all made it through without an injury from the flood debris or an illness from the bacteria and awful stuff in the flood water. We were terrified for the old blind cat in the shelter you see in the photo. There is over two feet of water covering the ground and it was running too fast and hard to get to the shelter. Luckily there is a climbing post and shelves at various heights and the poor old fellow could still find them, in spite of the water. 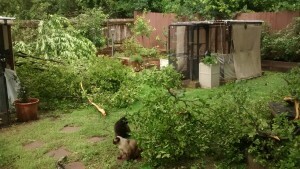 The day before the flooding, we had just cleaned up the downed branches from the tornado two days earlier. The U-haul building less than a mile from us was destroyed. We had minor damage to one of the outdoor shelters and the fences. A medium size almond tree went down, and the neighbors large tree that broke off damaged the fence, but nothing large hit the shelters. They are both anchored into the ground too. 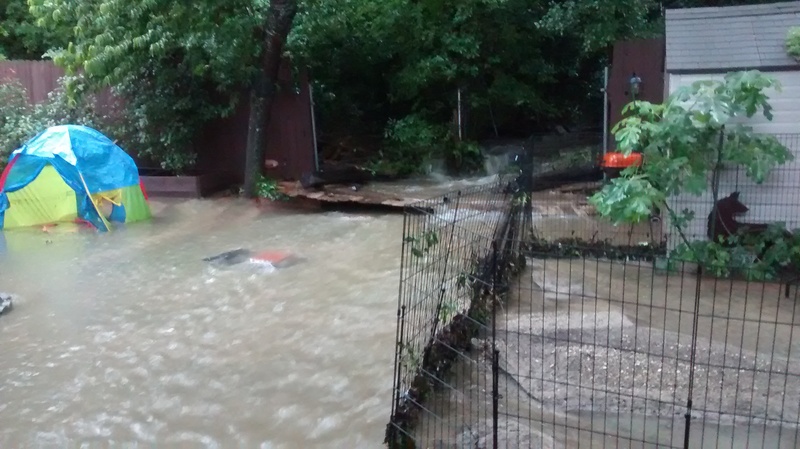 You can see in the photos where the wall of water took down the fences, came around our house, and flooded the homes down the hill. It didn’t take long to start coming through the house and the indoor shelter rooms too. 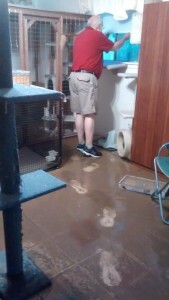 We quickly got all the cats into areas where they could get above the water on top recovery cages or up cat trees that were fastened down. Others we loaded into crates and set on kitchen counters. 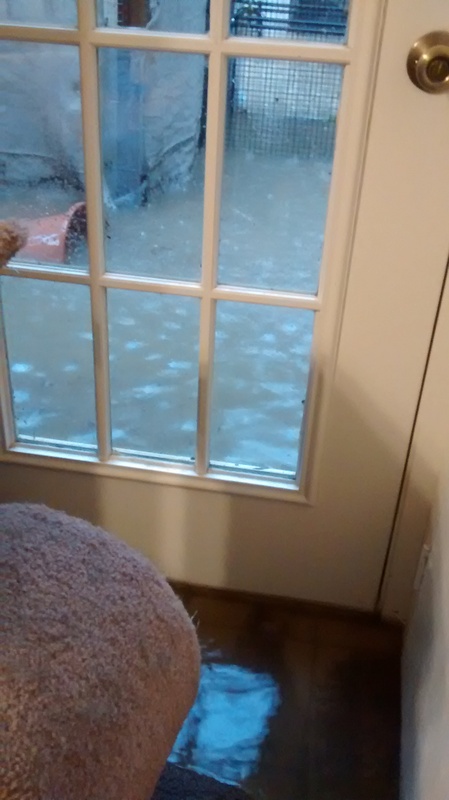 The water literally came under the back doors and ran through the house and out the front door and the garage door. Of course, that left a layer of contaminated mud through out the house, and the walls soaked up water. We spent the next several days scrambling to save medications, belongings, and essentials, while arranging for water remediation. The remediation was a challenge because Wimberly, Texas flooded a day or so earlier and all resources were already committed. We were told they had to bring in fans, dehumidifiers, and supplies in semis from out of town and even out of state in some cases. To make matters worse, I (Penny) have mobility limitations and getting around to help and care for animals presented difficult challenges due to slippery mud and unstable ground full of debris. 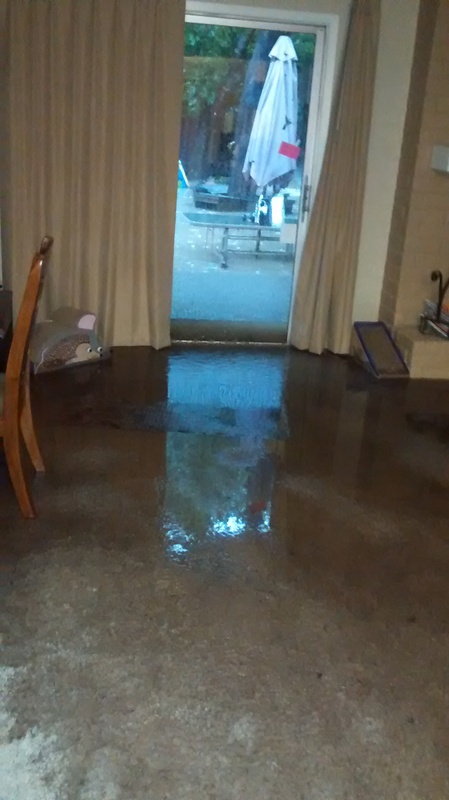 Our home has been here 43 years and has no flood history. We discovered that there was a blocked inlet behind our fence that was unknown to us. 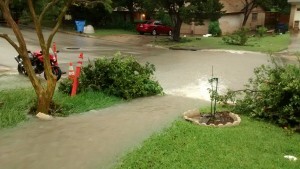 It is part of the city drainage system. Even so, we cannot get any help with the losses. Sovereign immunity rules in Texas allow the city to remain immune. Due to the size of the storm, we can’t prove we would not have flooded anyway. 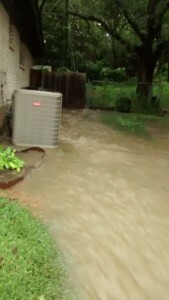 Because we are not in a flood plain and had no history of flooding–ever, we also had no flood insurance. Much to our dismay, the costs keep mounting. Cat trees are vulnerable to water, since most have pressed board under the carpet covering. We had to replace four large trees to-date, and the clean up isn’t done yet. Some other trees will fall apart as soon as we move them to do repairs. We also had to replace a feral villa house that is used in the outdoor shelter for a blind kitty and his friend. 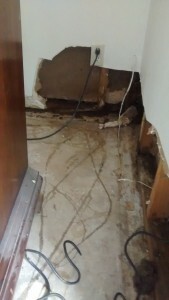 Some of the heavy labor for clean-up requires paying for assistance, as well as buying supplies and tools. We are still finding things that are broken or beyond repair. 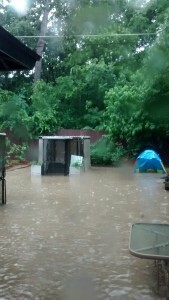 We were awaiting an answer on an application submitted to a fiscal sponsor when the storms hit. Therefore, we didn’t have our 501(c)(3) yet. 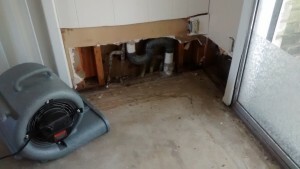 After we could live in our house and got the shelter areas cleaned up well enough to be safe and secure, we learned, after 5 months of waiting, the fiscal sponsors decided to not to add additional shelters right now. It had nothing to do with our qualifications, simply a management decision on their part. Since we were prepared to meet all of the requirements, several friends of these very special cats decided we needed to form a nonprofit and apply for our 501(c)(3). We did, we have, we made it! Still, we paid for everything for the recovery, clean-up, repairs, and replacement of shelter supplies out-of-pocket. We were not in a position to ask for donations at that time. The hard part is that those costs caused us to have to put off all non-essential care for the kitties. Routine exams and dental care for seniors and special needs cats are important, and we do not make that type of decision lightly. You can see the condition of the house. The cats that usually live freely were confined to one large room that still had walls intact. We cleaned their room before we cleaned anything for us. Our camper van was in the driveway and housed us while we worked to make the animal areas safe and healthy first. Wonderful creatures that they are, they seemed to understand that we were doing all we could. Even those that don’t really like each other well in close quarters, kept the peace. They do better than most people! We truly respect these intelligent little creatures. We have flooring, the walls are repaired and painted, we are able to live in the house again. The cats and people are doing much better. 🙂 The bottom-line now is that we can use all the help we can get to catch up. 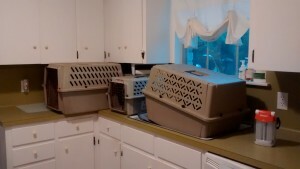 We have the usual bills for veterinary care, emergency visits, medications, food, and litter. We (Penny and Michael) live onsite and never mind filling in when donations run a bit short. After this event, we have a lot to handle too and lots of work remains to be done. The city is doing repairs to the drainage system, the fence is still down, and winter will be here within weeks. Two days before I typed this, we spent the afternoon in the emergency room with Vinnie. The needs of the animals do not stop. If you can help, we would be grateful. Catnip Casa Cat Refuge is a 501(c)(3). Your donation is tax deductible, and every dollar counts toward keeping a special needs cat safe and warm. Short on money? Visit our How to Help page too. There are ways you can help that don’t cost you a dime. Really!